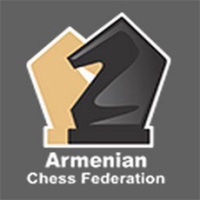 The 75th Armenian Men’s Individual Chess Championship was held from 21st August to 4th September in Yerevan, the capital city of Armenia. The event was easily won by the top seeded player GM Hovhannes Gabuzyan (2582). He scored 10/13 points, leaving the runner-up 1,5 point behind. FM David Shahinyan remained second on 8,5 points. Third place was shared in a four-way tie by Arman Mikaelyan, FM Haik Martirosyan, IM Tigran Harutyunian and GM Levon Babujian on 7,5 points each.